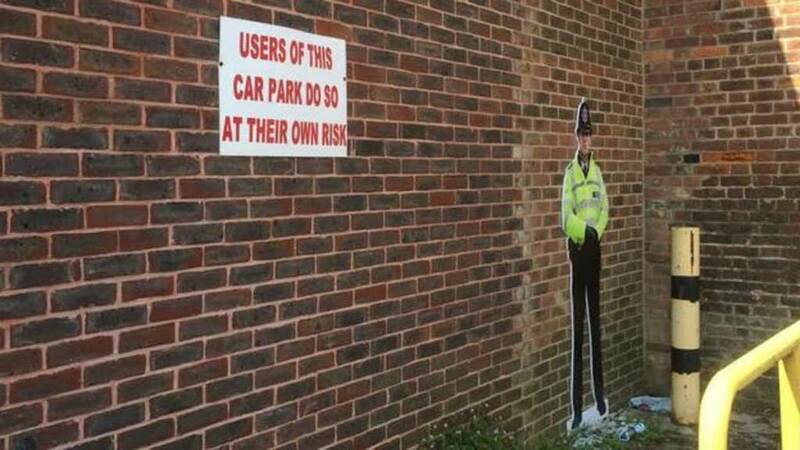 Life-sized cardboard cut-outs of police designed to deter people from smuggling contraband into a prison in Essex have been branded "a bit silly". 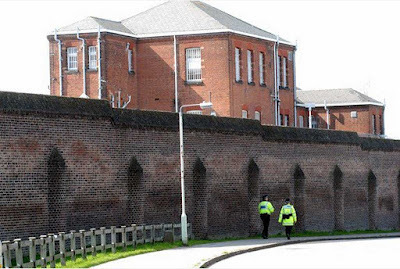 Chelmsford Prison said the figures were being used to "remind people of the consequences of breaking the law".But Frances Crook, of the Howard League for Penal Reform, said the cut-outs were "insulting to staff". The Prison Service has now made the decision to remove the 7ft (2.1m) tall figures "to avoid confusion". Earlier a spokesman said there had been "no removal of CCTV" and the cardboard figures were "an additional measure only". Ms Crook said the cut-outs "sounded like a bit of a joke, but the trouble is there is a serious problem". "I shouldn't think they cost very much, but it just makes the prison look a bit silly," she said. "I think it's insulting to staff. They have to do a very professional, dangerous, difficult job, and we should be treating them with respect. 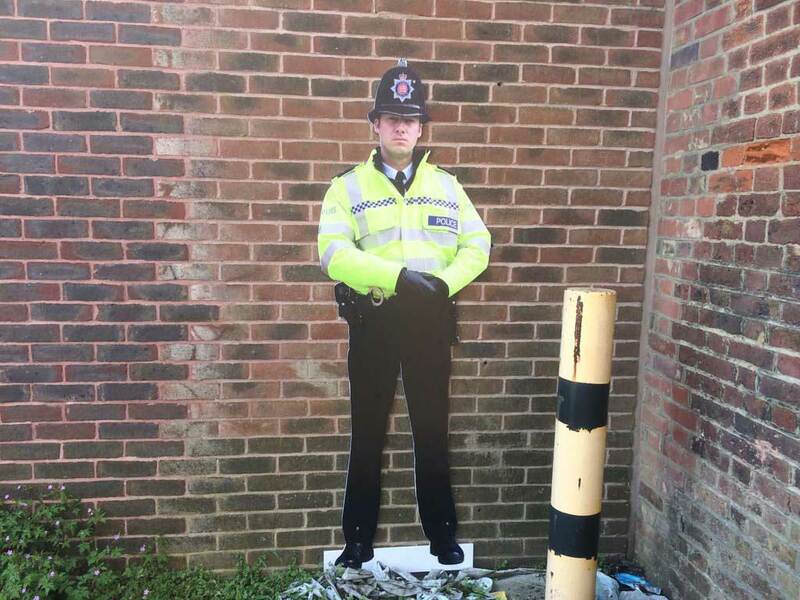 Having cardboard cut-outs of coppers outside is insulting." Okay, 7' figures are a bit over-the-top, not to attempt a bit of humor here. It's been shown in studies that live-size cutouts of police officers standing in department stores _do_ seem to deter shoplifting. So maybe there's a bit of science behind the silliness.